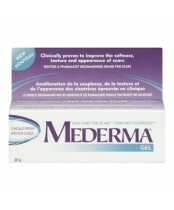 The Mederma family of products, including Mederma Stretch Marks Therapy, Mederma Gel, has a long tradition of efficacy. The #1 doctor- and pharmacist-recommended brand for scars in the United States, Mederma helps reduce the appearance of scars resulting from surgery, injury, burns, and acne, making them softer, smoother, and less noticeable. 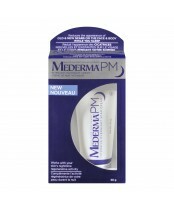 Mederma Stretch Marks Therapy is specifically formulated to reduce the appearance of stretch marks.